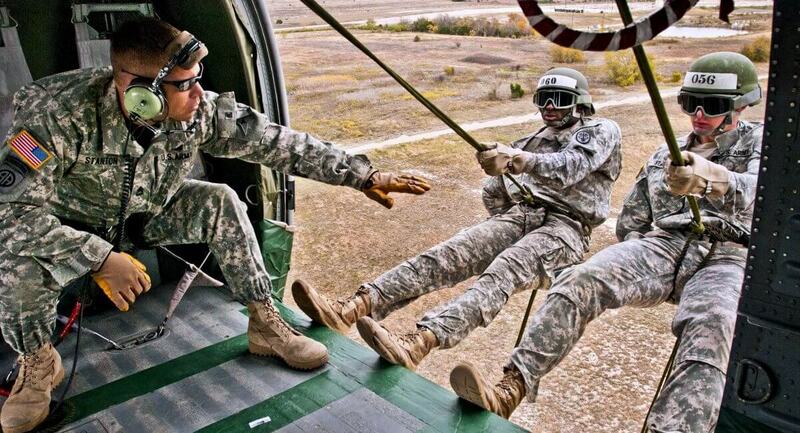 Non-combat injury is common in the military, and many injuries are sustained during required rigorous training programs. Recent studies suggest that these injuries are often from a combination of training as well as equipment and footwear utilized in different branches of the military 1. While we cannot change the uniform or the equipment, what we can do is to understand common injuries and how to prepare and pre-train for prevention. Many of these injuries sustained during training tend to be “overuse” injuries such as tendonitis and sprains. This is often the result of repetitive activity, especially when these activities are new activities to us. Now let’s talk about prevention. 1. You will want to give yourself ample enough time to train. Try to give yourself 6 weeks to train prior to boot camp and progress your training slowly depending upon your current fitness level. Take into account your entire body; you may have great cardiovascular endurance, but your lower extremity muscles may not be ready for a 3 mile run. 2. You will need to think of your body as one chain. Weakness or flexibility deficits to your hip muscles will surely cause injury to the low back. Weakness or structural issues at your foot or ankle will cause a chain reaction up through the body as soon as your foot hits the ground commonly resulting in knee pain. So take into account your body from the bottom up and top down. Do you have flat arches on the bottom of your foot? Do you have calf muscle tightness? Do you have limited mobility of your ankles joints? If yes you can place yourself at risk for injury with the initiation of a new training program. 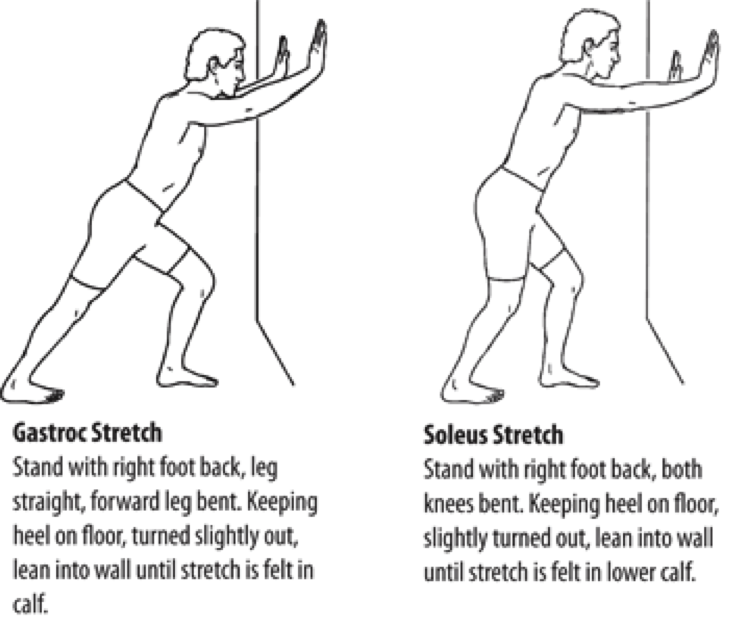 Be sure to adopt a regular stretching routine for all major joints of your body, including your upper mid and lower back. 3. Stability before Mobility. When working out, we often work on large muscle groups and leave out some of the small muscles that provide important stability and control mobility. For example, while you may have strong enough triceps to perform 100 pushups, your rotator cuff muscles may be weak leading to a frustrating shoulder injury. Focus on form and slow, controlled movements when pre-training. When your form fails, know when to stop and progress from there. Remember to take into account some of these important stabilizing muscle groups: Rotator cuff, Scapular muscles, Core abdominal muscles, gluteal muscles, and intrinsic foot muscles. 4. Warm up and cool down. Try a 5-10 minute warm up and 5 minute cool down (heart rate should drop to <120 bpm). A dynamic warm up can further prepare your muscles to be strong yet flexible without overstretching. 5. Remember to incorporate rest days. Give yourself at least 1 day of full rest per week and remember to alternate heavy training days with light training days. 6. Do not ignore symptoms. Muscle soreness is to be expected, but pain is your body’s warning sign. Ignoring and working through pain will lead to injury that could take weeks to recover from. Listen to your body, and if you do have your persisting pain see your physical therapist. For a comprehensive overview of your body prior to training, a physical therapist could provide a movement/injury screen to identify impairments throughout the entire kinetic chain of your body. Now get moving and happy training!